Solar Radiation Management is a theory of approach towards stemming the effects of global warming, and its principle benefits are now the focus of a new paper published by the University of Exeter, with regard to coral reefs worldwide. Dr Paul Halloran, from the Geography department of the University of Exeter adds: “The study shows that the benefit of SRM over a conventional CO2 reduction scenario is dependent on the sensitivity of future thermal bleaching thresholds to changes in seawater acidity. This emphasizes the need to better characterize how warming and ocean acidification may interact to influence coral bleaching over the 21st century.” Currently The Intergovernmental Panel on Climate Change (IPCC) is considering and implementing many different approaches to reverse some of the effects of global warming. With this new study finding a more suitable approach towards coral reefs is possible as two hypothetical climate mitigation strategies were compared, and it was found corals have a much better chance of avoiding large-scale bleaching events under the SRM strategical approach. Professor Peter Cox, co-author of the research and from the University of Exeter states: “Coral reefs face a dire situation regardless of how intensively society decarbonizes the economy. 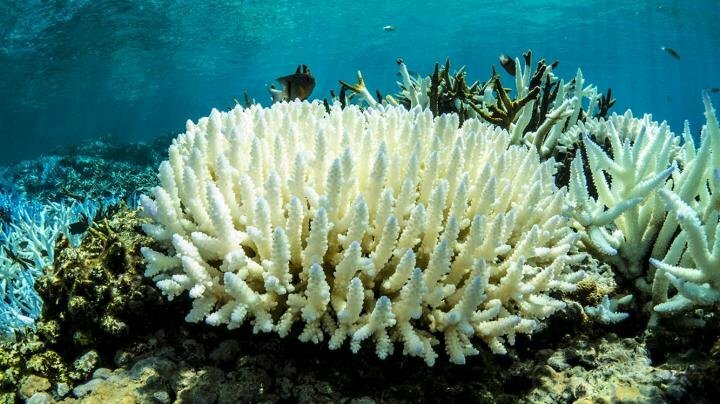 In reality there is no direct choice between conventional mitigation and climate engineering but this study shows that we need to either accept that the loss of a large percentage of the world’s reefs is inevitable or start thinking beyond conventional mitigation of CO2 emissions.” Read more here!